After Battersea announced last week that it was struggling to contend with online pet sales, celebrities, including Amanda Holden and Dermot O’Leary, have got behind the charity’s new campaign to encourage the public to adopt rescue animals. 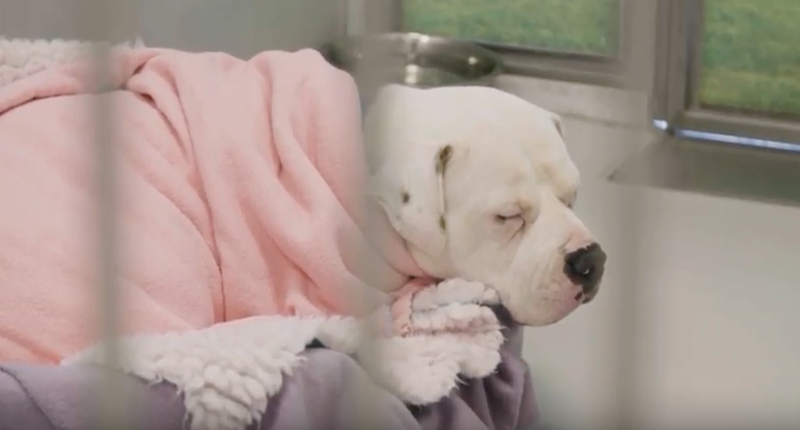 In a video, Amanda, Dame Jacqueline Wilson, Sue Barker and Anthony Head talk about their experience with the charity and what makes rescue animals so special. Amanda, who is a Battersea Ambassador and owns two dogs and a cat, said her parents’ Battersea dog Alfie, a Shih Tzu, has made such a difference to their lives. She added, “My animals are such an important part of my life and I’m so proud to be an Ambassador for Battersea. I know they treat every dog and cat that comes through their gates with such love and care until it’s time for them to go to a new home. I’ve seen first-hand the wonderful work the staff there do, and I’d always urge people to go there if they’re thinking of getting a pet. Last year, Battersea helped more than 7,000 animals and last week the charity launched a major new campaign to raise awareness of the unconditional care their staff and volunteers give to every pet – including Socks, a Battersea kitten adopted by Dermot O’Leary and his wife earlier this year. Dermot said, “Socks has certainly brightened up our lives – he’s a little rascal but we wouldn’t change anything about him.